It doesn’t really matter though. She’s incredibly observant to new and shiny objects and is not easily fooled. The best part is that my daughter outs me every time the second my husband walks through the door in the evening. “Mom got a new phone case. Mom got a Starbucks. Mom got some boxes from Amazon today. Mom got me a new dress.” Geez, kid. You make it seem like I’m trying to hide something. 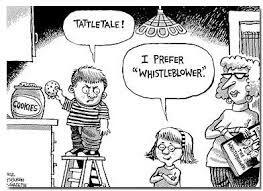 Of course, they are just statements of fact, but no one is safe with this little whistleblower around. However, lest I encourage lying and secrets, I go with it. It’s not like I need to hide purchases, been there, done that, didn’t turn out so well. The other morning my daughter launched into one of her truth-telling moments. Daughter: Mom, my earring fell in the toilet last night. Daughter: But daddy got it out. Daughter: (Not done with her story, of course) I had pee peed and my earring fell in the toilet. Me: EEEEEWWWWW (as I turn to face my husband) and your daddy stuck his hand in the toilet to get your earring out? Wow, that’s pretty amazing. Daughter: Noooo, we got a spoon and got it out. Wait, what? Yep, a slotted spoon was used to fish out the earring. My husband’s response; what, I soaked it in bleach after? I can’t blame him, I wouldn’t have wanted to be elbow deep in pee pee water. The very thought makes me cringe. So slotted spoon it is. But bleach notwithstanding, I can never unlearn that particular truth. I tried to picture using that spoon again as I’m serving dinner. It just cannot happen. Bye Bye spoon. Let this be a lesson: ignorance is bliss, people and honesty kills slotted spoons. This entry was posted in Because it's funny, Life Lesson, Parenting: AKA - I Don't Know Any More Than You Do. Bookmark the permalink.